This event is also part of the fall 2018 Media School Speaker Series. Born in Milwaukee, Michael Schultz, is a prolific and award-winning filmmaker. Following his debut as a stage manager for The Old Glory (1964), which featured Roscoe Lee Browne in the role of Babu, Schultz went on to manage and direct at least 20 other theatrical performances from 1964–74. In 1972, he began working in television and film, directing both Together for Days (aka Black Cream) and To Be Young, Gifted, and Black, a biography on Lorraine Hansberry. These were followed by Honey Baby, Honey Baby (1974) and then a string of hit films, including Cooley High (1975), Car Wash (1976), The Last Dragon (1985), Krush Groove (1985), and many others. He has also worked on over 40 television series such as Starsky and Hutch, Ally McBeal, and Black-ish. Schultz was inducted into the Black Filmmakers Hall of Fame (BFHFI) in 1991. His other awards include the Cannes Technical Grand Prize for Car Wash and Best Film from the American Black Film Festival and Black Reel Awards for Woman Thou Art Loosed (2004). 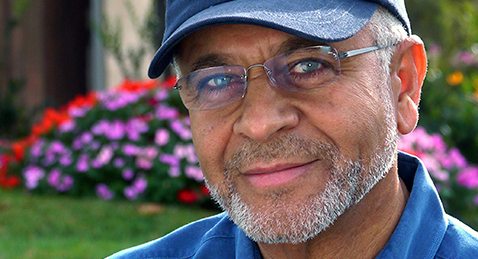 Join the Black Film Center/Archive and Indiana University Cinema as we celebrate the 50-year career of filmmaker Michael Schultz. The series marks a reunion as well, taking place 30 years after Schultz’s previous visit to Indiana University with his wife and creative partner, Gloria Schultz. Young, Gifted, and Black brings to the big screen a selection of the award-winning director’s most exuberant films from the dawning years of the hip-hop age. For more information on additional Michael Schultz celebrations, please visit www.indiana.edu/~bfca/events. The series is sponsored by the Black Film Center/Archive; IU Office of the Bicentennial; Archives of African American Music and Culture; The Media School; Office of the Vice President for Diversity, Equity, and Multicultural Affairs; and IU Cinema.